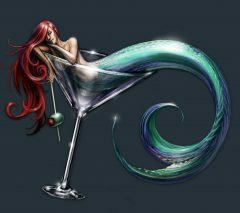 In an effort to post shorter tidbits, and more often – here you go! 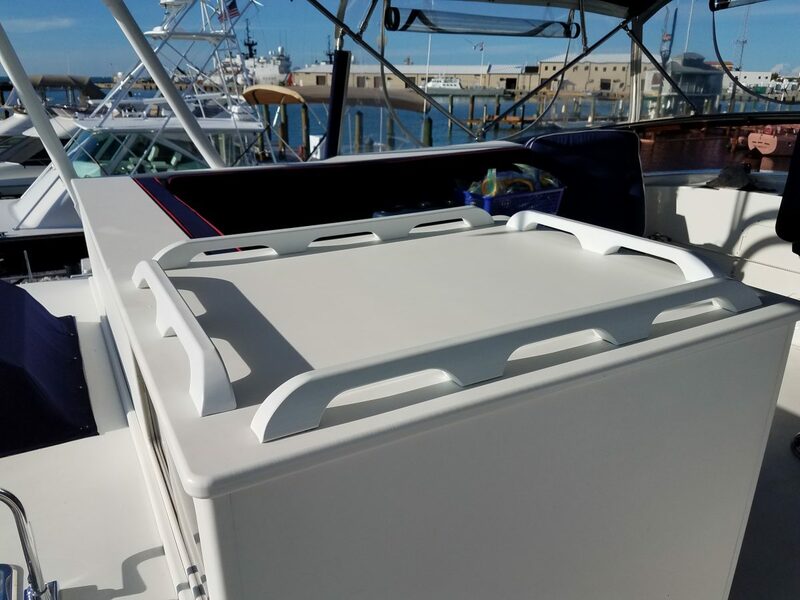 Ever since we had the built-in benches and fishing tackle storage center done, we’ve wanted to put “fiddles” on a couple of them. (Fiddle: noun – a small ledge or barrier raised in heavy weather to keep dishes, pots, utensils, etc., from sliding off tables and stoves.) 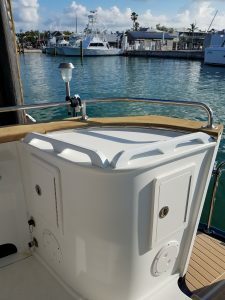 These also double as handrails, when going onto and off of the flybridge helm area and the swim platform. 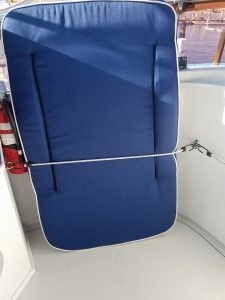 When we’re underway, especially if it’s a many-hours trip, we have a lot of stuff up on the flybridge – a little table for lunch, life preservers, a basket full of odds and ends that we need throughout the day, etc. If it’s at all rough, that stuff tends to slide around, which is never good. Not anymore! 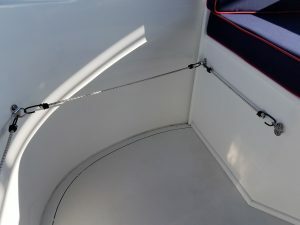 I attached seven stainless steel loops around the perimeter of the area, then made custom length bungees for each span. Yep – that’s all. Just a few minor improvements that we can cross off the To Do List, and that will make life on Smartini just a little bit better. Very nice! You’re so handy!